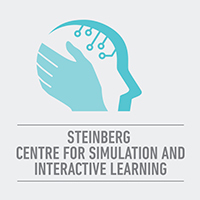 Our Centre wants to engage with the community and create beyond the traditional boundaries of medical expertise and knowledge in order to deliver unparalleled learning experiences. Our goal is to create corporate and community partnerships with like-minded organizations and individuals. Together, we can capitalize on the future of simulation and catalyze the delivery of safe and high-quality health care. As the average age of the population rises, care is moving out of the hospitals and into the homes. Home care may be an option for patients who are recovering after a hospital stay, or for individuals who are dealing with an illness and want to remain at home for as long as safely possible to maintain their existing lifestyle and independence. Home care services may be provided by licensed health care professionals, including nurses, occupational therapists, physical therapists and social workers. It may also be provided by caregivers—including family members—who help the individual with daily tasks such as bathing, eating, cleaning the home and preparing meals. In order to help prepare and train clinicians and caregivers for this role, we expanded our facilities in 2016 and created a simulated apartment training area. This fully-functional home occupies 1000 square feet and includes a lounge, dining area, kitchen, bedroom and bathroom, as well as a control room to monitor and observe behind one-way glass. The apartment is fully furnished and contains all the necessary equipment to practice home care scenarios. The Centre also works with over 200 standardized patient actors who can convincingly enact patient concerns according to predefined guidelines, thereby allowing learners to acquire new skills in a safe environment to achieve better health care outcomes. We are collaborating with local experts and health care professionals to organize specific outreach activities for caregivers and patients that will teach them how to manage chronic conditions, such as Alzheimer's Disease. We regularly organize events for local high school students who are interested in pursuing a career in the health care arena. At our Centre, they participate in hands-on simulation activities and get a taste of what it would be like to work as a health care professional. We are engaging with the medical community and raising awareness surrounding issues of social justice by tackling issues that are equally important at the point-of-care as they are for the communities we serve. Our recent Human Trafficking Webinar brought together a diverse panel representing health care, education and law enforcement to discuss how health care providers can identify, assist and advocate for victims of human trafficking. During this webinar, we presented a simulation-based clinical encounter to illustrate what the health care system can do to support victims.